There are several reasons for the continuing interest in the immunological response to insulin. The insulin molecule has been extensively studied and its tertiary structure is fully documented; insulin is the most frequently injected highly purified polypeptide used in medicine, and it is readily available, as are species variants, chemically modified insulins and molecular fragments. 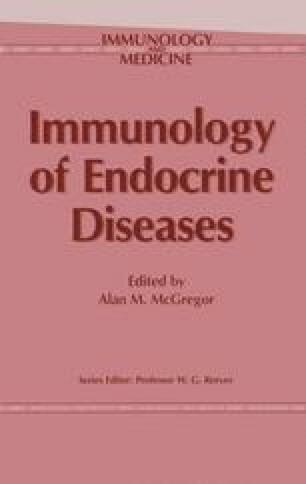 Most research over the years has been concerned with the immunological response to injected insulin: usually the production of insulin-binding immunoglobulin G (IgG). The unravelling of the autoimmune nature of the pathology of Type I diabetes has created interest in the occurrence of spontaneous antibodies to insulin.